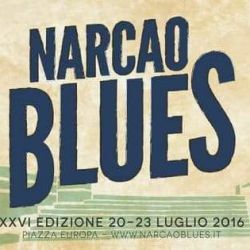 It's one of the longest running Blues Festival ever in Italy and one of the most prestigious music event for Blues music worldwide. Throughout the years, in this wonderful corner of the world, deep in the heart of Sardegna, one of the most beautiful parts of Italy, the Festival has featured some of the most important names of the Blues and Blues/Rock circle, artists like Scott Henderson, Popa Chubby, Canned Heat, Mick Taylor, John Mayall, Robben Ford, Peter Green, The Neville Brothers and many more. For the 26th edition of the Narcao Blues Festival, which will take place from 20th to 23rd of July, the event organisers have done, once again, a fantastic job in assembling some of the most popular artists worldwide. The Long Beach, California quartet, RIVAL SONS, are touring with Black Sabbath. Sabbath has embarked on their final world tour, before the band settles into retirement. Rival Sons, on the opposite end of the spectrum, are just beginning to claim their own stake in the future of Rock and Roll Legendry. Guitar virtuoso and singer-songwriter, Joe Bonamassa, will take the stage at the Stern Auditorium's Perelman Stage at Carnegie Hall on January 21 and 22, 2016. The road to Carnegie Hall is 26 years in the making, a milestone that fulfills a lifelong dream for the bluesman who has released 16 studio albums and reached #1 on Billboards Blues Charts more times than any other blues artist. He is widely known for tone, speed, and technical skill-- a musician's musician, and as an artist committed to keeping the blues alive for the next generation. Fans were swift to post commentary such as, "Good for The Soul!" and "Music Heaven on Planet Earth", beneath film footage uploaded last week to Youtube channel, 1AnitrasDance. These videos are the first glimpse of five songs off Bonamassa's 17th studio recording, Blues of Desperation (pre-order now ahead of in-store/on-line release March 25), and new arrangements of favorite songs. Seven dress rehearsal shows are planned in MD, VA, PA, VT, ME and NY. The world received the shocking news today that iconic singer, musician and producer, David Bowie has died of cancer. Our grief cries around the globe. Bowie predicted his larger than life influence on music, art and culture, would be instantly summarized, defined - appreciated by the media. But in its midst, David Bowie has outsmarted us again. His final song release, which was on his birthday, just a few days before his death, is a prophetic and haunting reprise. At 69 years old, he lived his life exactly as he wanted to, with simultaneous presence and foresight. In his parting message to fans, Lazarus depicts the struggle with life and death, mocking the outflow of superficial media that will occur, and celebrating the release of spirit that his passing will embrace. It reflects who he is and always has been. The song has somber jazz undertones with ironic lyrics that mock the face of dying and superficial communication. The video tells the story. It mirrors his style of emotional freedom on every level. David Bowie has left us an elegant, inspiring echo. 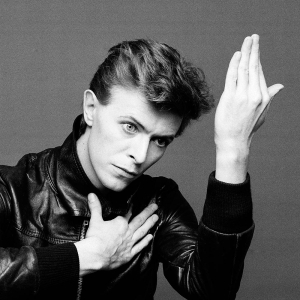 Rest in peace, David Bowie. Check ignition and may God's love be with you. Tales of heartache are common storylines in music. So, what happens when the lyrics that roll off a singer's tongue mirror those of their own, most private anguish? An autobiographical recording is born. Resilience, family, and friends saw Thom over the crisis. 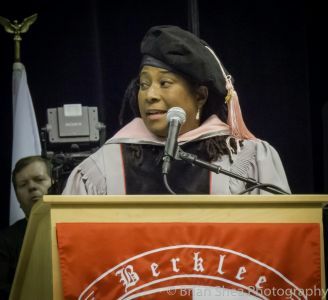 It inspired her to write the new single, "Earthquake." The power, pop-ballad is a mere glimpse of what's to come from the pop, folk, rock and blues artist, who plans to release her first self-produced album, Weapons Of Past Destruction in spring 2016, on Scottish label MITA. 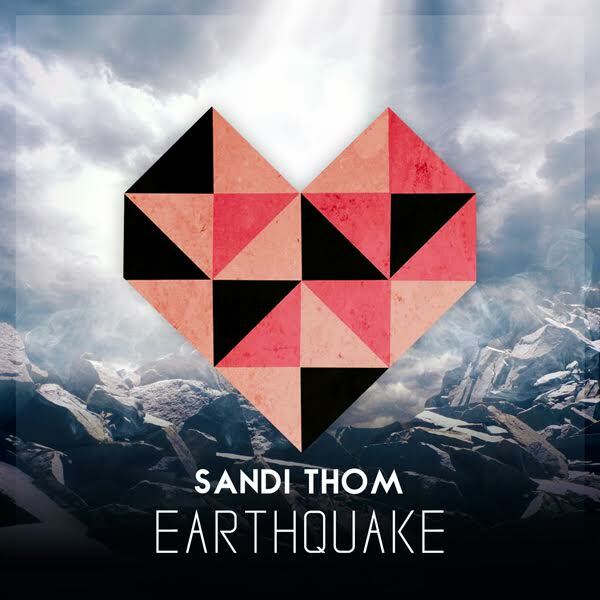 "Earthquake" is available for download beginning November 27, 2015, via iTunes. "It's the catch 22 of being a songwriter. You have to suffer through something real and raw to come out with your best a work. In a strange way, the pain of the break up inspired me to write my best album ever, so in some ways I'm thankful for having gone through it all," says Thom. Viewers will find more than one "Earthquake" video circulating around the internet. After watching three, I discovered that each format impacted me differently. First is the official music video (seen above), shot with a 360 degree GoPro. Here, Thom presents as four characters trapped in one room. Each personality displays a varied level of disillusionment. It's an interesting concept that is perfect for MTV (that's if MTV still played cool videos). Second is the official lyric video which visualizes phrases swirling about a transparent, spinning globe. Perhaps the intent is to connect the world to one universal burden? Then, in watching Thom's live performance aired on Vintage TV, the magnitude of her grief struck me to the core. Never before have I seen the singer more vulnerable than in this footage. Not only does the strain of despair resonate in her angelic vibrato, the look in her eyes tell us something more. In my mind, gone are the days of "I Wish I Was A Punk Rocker (With Flowers In Her Hair)." Thom has evolved into a grown woman singing about big girl stuff, where real pain is a tragic component in life, as evidenced by this song and similar tracks from her last few studio albums. "Earthquake" is strikingly honest and poignant, where, in the end, the only path to recovery is by letting go of the past and crossing over to a triumphant space. Photos courtesy of Sandi Thom. 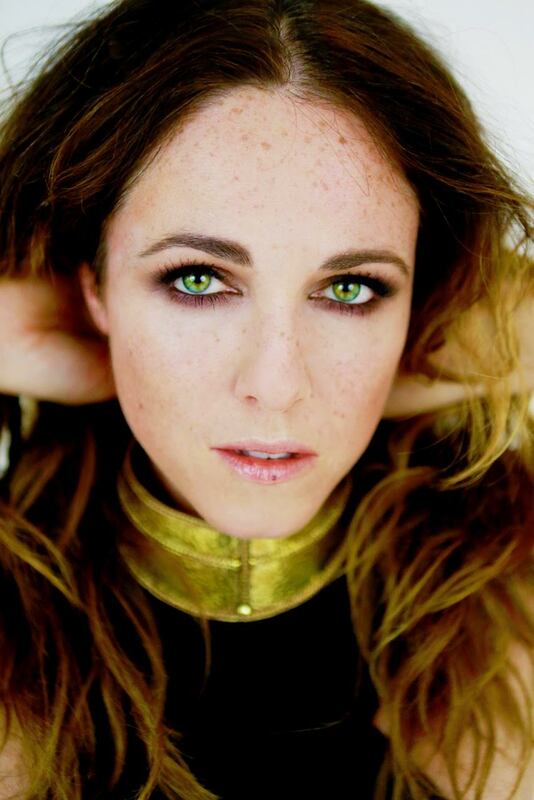 Video courtesy of Sandi Thom and Vintage TV.